It’s official. The That’s So Raven TV show sequel series, Raven’s Home, will premiere on Disney Channel on Friday, July 21, 2017 at 7:00pm ET/PT. The show’s official Twitter page announced the Raven’s Home season one release date. Check it out, below. A spin-off, Raven’s Home stars Raven-Symoné and Anneliese van der Pol, who are reprising the roles of Raven Baxter and Chelsea Daniels from the original series. The Disney Channel cast also includes Issac Ryan Brown, Navia Robinson, Jason Maybaum, and Sky Katz. Geared toward children between the ages of eight and fourteen, as well as their families, Raven’s Home picks up with Raven and Chelsea. The two are now divorced single moms, raising their separate families in one home. What do you think? Were you a fan of That’s So Raven? Do you plan to check out the Raven’s Home TV show when it premieres on Disney Channel? Let us know, below. 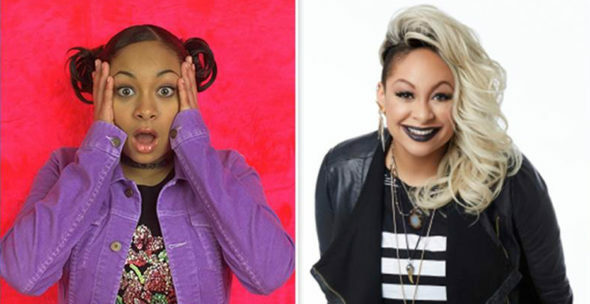 More about: Disney Channel TV shows: canceled or renewed?, Raven's Home, Raven's Home: canceled or renewed?, That's So Raven, That's So Raven: canceled or renewed? Raven’s Home on Disney Channel: Cancelled or Renewed for Season Three? I love Raven’s home! My grandkids got me hooked on the Disney Channel. I only get to watch tv while I am at dialysis. So on Saturdays I get to watch Raven’s Home. It is fun and witty and totally distracts me from being on dialysis. I hope they know what a service they are doing for some of the viewers out there who really need something to smile about. Oh yes total fan of that’s so raven. I watched with my nieces. Now I will watch with there children. Can’t wait. This is going to be aammaazziinngg!!!!!!!!!!! !